HockeyDogs has been established since 2011 to serve the Hockey, Figure Skating and Inline needs of its supporters. While we are located in Southern California, a great number of our orders are fulfilled and shipped to our buyers directly from the manufacturers. In October of 1984 Zero Temp Ice Rink, a failing operation in Norwalk California with an ice surface of 50 X 150 Ft, was acquired by Darius Madjzoub. Shortly thereafter the name was changed to Norwalk Ice Arena. In less than a year, it was turned into a successful operation. A “Tog Shop” inside the rink that had virtually no sales proved to be an enormous source of income when our Skating School participants and internal Hockey developmental classes were established to full capacity. Among one of the first upstart stores dependent on our inventory was Hockey Plus, a small shack of a store in Garden Grove. Under the enormously efficient management by Mr. Malki. Hockey Plus enjoyed a phenomenal growth, expanding into three locations in the key Southern California markets. That operation was sold to a Russian entrepreneur. In the meantime, HockeyWest as a distribution center was formed and developed that would supply inventory to the majority of the hockey shops within the United States. In the late-nineties with the intercession by Mr. Malki, I sold my successful retail operation in Orange County named “The Ice Hawk” to Mr. John Naaman who needed to make an investment affecting his change of status as an immigrant. Eventually Mr. Naaman changed the name of that store to HockeyMonkey. Meanwhile, due to failure to perform by the buyer, Mr. Malki was able to gain back control of Hockey Plus which he renamed as the HockeyGiant. He then partnered with Spots Gian LLC. Once Mr. Malki’s partnership with that organization was dissolved, he began distribution of a new line of hockey products called TRON and subsequently acquired HockeyWest to enhance his lines for distribution. 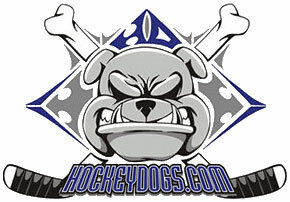 Since 2011, upon retirement, I only maintain the current website – HockeyDogs. HockeyDogs is one of the most successful operations in the nation, serving the needs of Hockey Players, Figure and Inline skaters. By tapping into the vast inventory of manufacturers such as Tackla, USA (Montreal Hockey Company) and distributors such as TRON, HockeyDogs has become the favorite of most novice as well as advanced players. It has become truly a “One Stop Shop” for the most fastidious and selective buyer.